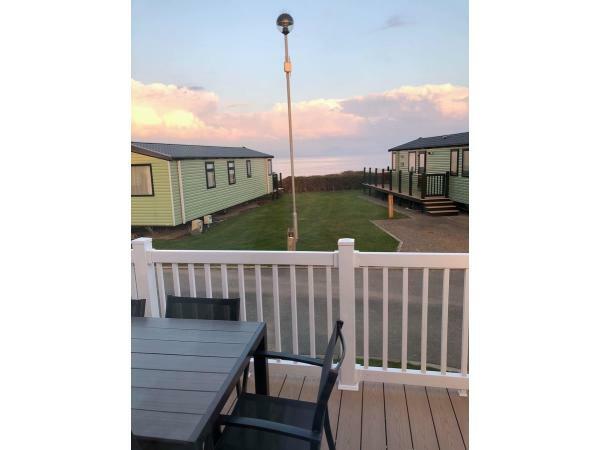 Additional Info: beautiful NEW home to the market, on probably 1 of the best haven camps of the lot, Hafan y Mor, With beautiful views over the Llyn Peninsula to Snowdonia!!! 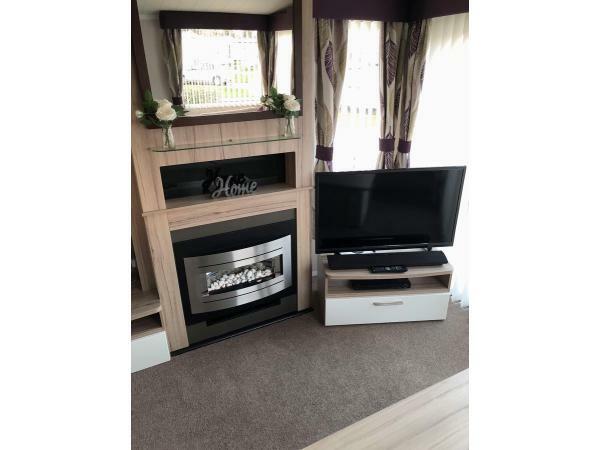 External dining furniture, pure luxury caravan with a washing machine and microwave installed extra!!! At Hafan y Môr Holiday Park, we love getting wet. And we have endless splashy spots where you can jump in together and have a good time. Swimmers of every age love our heated indoor pool complex with flumes and slides. Our indoor pool has recently been refurbished with a multi-lane slide, flumes and a toddler slide for you to enjoy. We also have kayaks, Water Walkerz, AquaJets, Aqua Gilders and Turbo Paddlers. 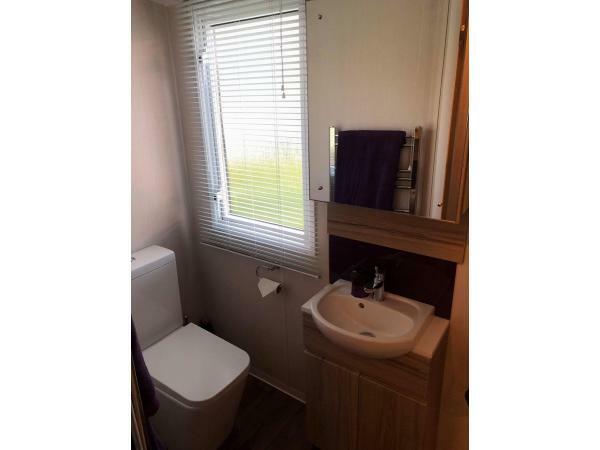 We have some top-class facilities at our spacious park at Hafan y Môr – and we like to mix things up. So alongside our Football Academy we can introduce you to some more unusual activities. You can learn archery and fencing, practise your swing on our 9-hole golf course – or get competitive on our all-weather sports court. Sometimes the best thing about being close to nature is just to get outside and enjoy it – at Hafan Y Mor you can explore the great outdoors and learn amazing new skills with our Nature Rockz activities. There’s so much to do, from exploring the park and coastline to finding out all about the wildlife that live in and around it. Get closer to nature – go explore the unique and beautiful settings of our parks. Let someone else do the cooking for a change and head to our Mash and Barrel, Cook's fish and chips takeaway, Starbucks or Burger King. Pop to Papa John’s Pizza or even get your order delivered to your holiday home. 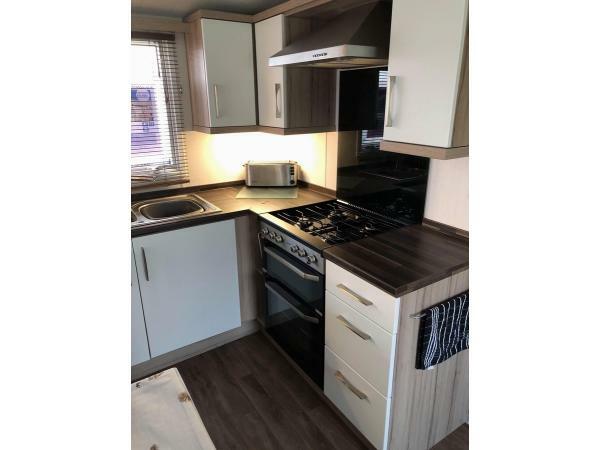 And we have two Mini Market's with a bakery and off-license if you fancy cooking at home. During the evening, enjoy a drink from one of our two entertainment venues here at Hafan y Môr. 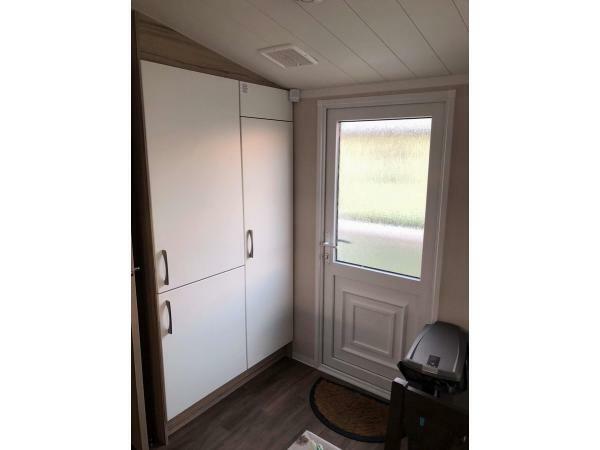 A £100 deposit is taken on booking, £100 is non refundable to secure the booking and the other £50 is refunded once caravan has been cleaned and inspected for loss, damage and cleanliness. 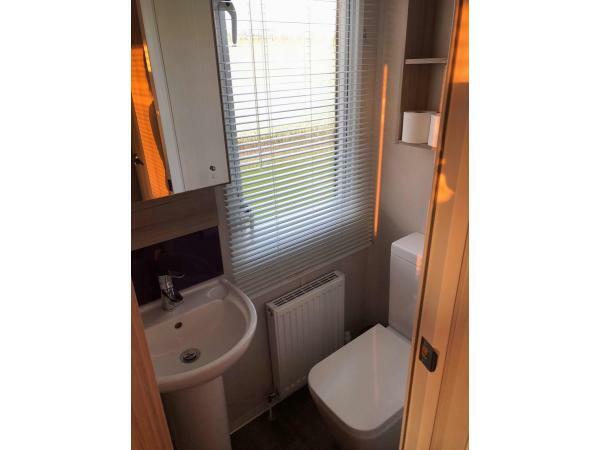 Beautiful new Swift Moselle, 3 BED 8, berth caravan. 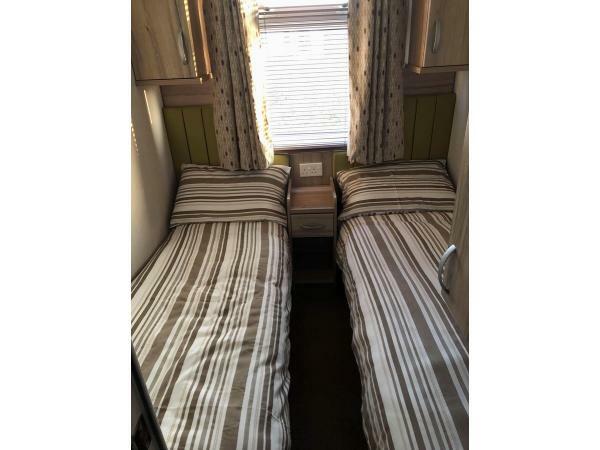 3 bed sleeping 6 (1 Double bedroom 2 x 2 singe bed bedrooms)and a 3/4 fold out bed in the living area. 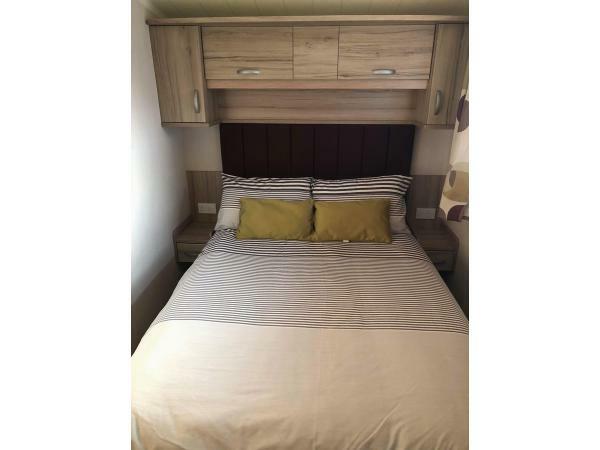 All quilts, pillows and bedding are supplied as well in your charge as well as pillows and sleeping bags available for the pull out bed in living area and a quilt. 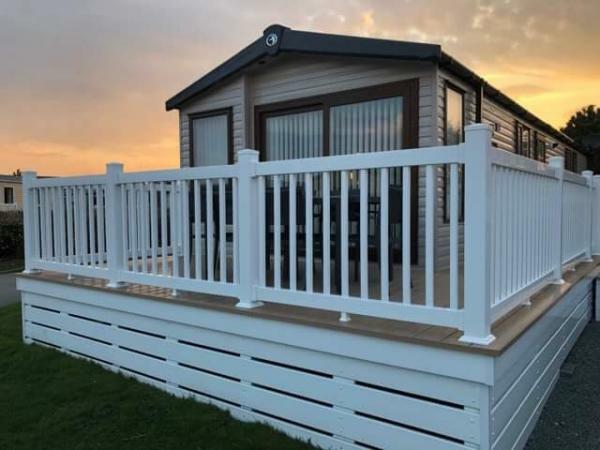 This is a premium camp and this is a premium van, so come and enjoy a premium stay in beautiful Hafan-y-mor. 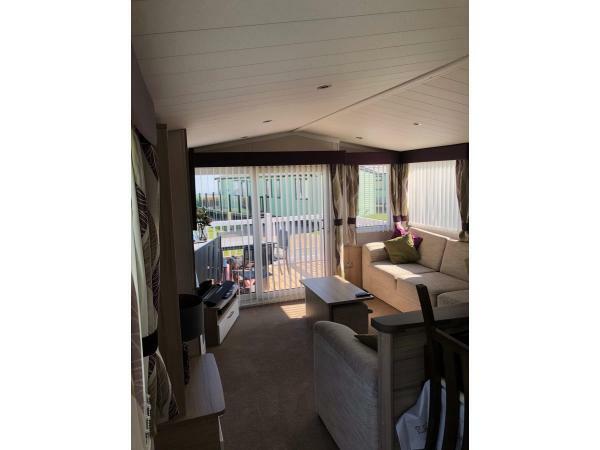 A £100 deposit is taken on booking, the balance is due 6 weeks before your arrival date, any bookings before 6 week period means payment is required in full and the £100 is refunded once caravan has been cleaned and inspected for loss, damage and cleanliness. 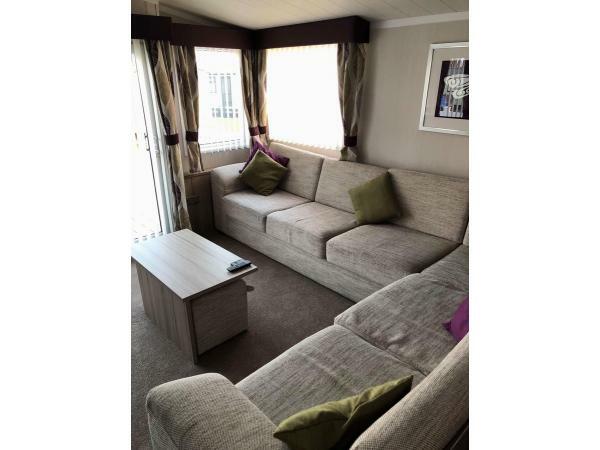 Additional Info: Hafan y Môr Holiday Park is big in every way. The views are simply stunning, as you might expect with Mount Snowdonia as a backdrop, while the park itself is huge. 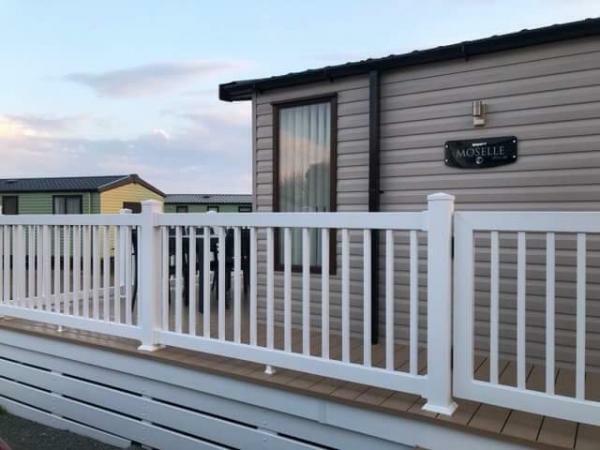 There’s so much space at Hafan y Môr in North Wales, so we’ve been able to pack plenty of great facilities inside our park. With flumes and slides, a golf course, bustling bars and quiet lounges, you can do as much, or as little, as you choose.